Chrisette Michele Changed it up! 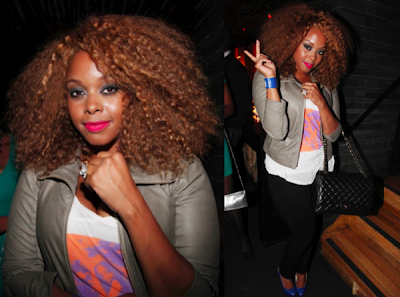 Ms. Chrisette Michele was recently spotted with a new do! She's going for the longer natural look. There's nothing wrong with changing up the look. Good for her...What do you think about her new Look? I must say, alot of naturals that rock their natural curls faithfully, when deciding to weave it, for the most part...the Natural Texture of weave is chosen first. Do you agree...What do you think?